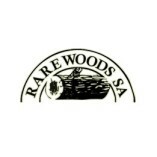 Rare Woods is one of the leading suppliers of imported and local timber in South Africa. Functional from 1982, the company now offers a wide-range of exotic timbers. They have a well-maintained infrastructure that includes vehicles, a warehouse, machinery to provide the best service to their customers.